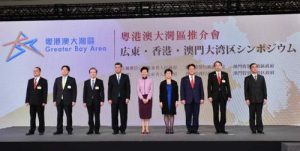 Hong Kong & Tokyo – (ACN Newswire) – The Chief Executive of the Hong Kong Special Administrative Region, Mrs Carrie Lam, called on Japanese businesses to seize the unique business opportunities arising from the Guangdong-Hong Kong-Macao Greater Bay Area at a symposium jointly organised by the Hong Kong, Guangdong and Macao governments in Tokyo, Japan, today (April 9). The Symposium on the Guangdong-Hong Kong-Macao Greater Bay Area is the first joint promotion held overseas by the three governments since the Central Government announced the Outline Development Plan for the Guangdong-Hong Kong-Macao Greater Bay Area on February 18. Over 1,000 executives and leaders from various sectors attended. The event started with opening remarks by the Chinese Ambassador to Japan, Mr Cheng Yonghua, followed by keynote speeches by Mrs Lam; the Governor of Guangdong Province, Mr Ma Xingrui; and the Secretary for Administration and Justice of the Macao Special Administrative Region Government, Ms Sonia Chan. The Chairman of the Guangdong-Hong Kong-Macao Bay Area Entrepreneurs Union and the Chinese General Chamber of Commerce of Hong Kong, Dr Jonathan Choi, and the Chairman of the Japan External Trade Organization, Mr Nobuhiko Sasaki, as well as the guest of honour, State Minister of Economy, Trade and Industry, Japan, Mr Yoshihiro Seki, also gave remarks at the event. Mrs Lam told the audience that Hong Kong has a lot of strengths in terms of its international status and research capability. It is a global financial centre and aviation hub with an international business environment based on the rule of law, and has been named the freest economy in the world by the Heritage Foundation for 25 years in a row. The city has a global business network with 13 Economic and Trade Offices around the world and over 8,700 overseas and Mainland companies currently doing business in Hong Kong. 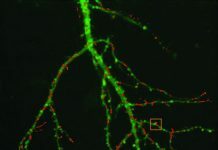 Four of the city’s universities are among the world’s top 100, and many have strong research capability. She said that Hong Kong will contribute to the Greater Bay Area development by leveraging its multiple roles as an International financial, logistics and trading centre as well as a global innovation and technology hub and the centre for international legal and dispute resolution services in the Asia-Pacific region. 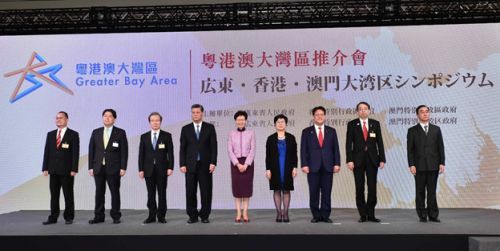 Hong Kong, Macao and the nine other cities will complement each other to promote co-ordinated economic development in the Greater Bay Area to develop an international first-class bay area. Mrs Lam added that the Greater Bay Area is a new engine to propel the close ties between Hong Kong and Japan. Japan is Hong Kong’s fourth largest merchandise trading partner and Hong Kong is Japan’s eighth largest. About 1,400 Japanese companies currently operate in Hong Kong, and 47 per cent of them have regional headquarters or regional offices in the city. There were 2.2 million visitors from Hong Kong to Japan and 1.29 million from Japan to Hong Kong in 2018. She called on Japanese companies to leverage Hong Kong’s platform to take advantage of the business opportunities in the Greater Bay Area. Following the opening addresses was the morning panel discussion on the opportunities of the Greater Bay Area. Speakers included the Director (Special Duties) of the Constitutional and Mainland Affairs Bureau of the Government of the Hong Kong Special Administrative Region, Mr Tommy Yuen; the Executive Deputy Director-General of the Office of the Leading Group on Construction of Guangdong-Hong Kong-Macao Greater Bay Area and Deputy Director-General of the Development and Reform Commission of Guangdong Province, Mr Cao Dahua; the Director of the Policy Research and Regional Development Bureau of the Government of the Macao Special Administrative Region, Professor Mi Jian; the Governor of the Japan Bank for International Cooperation, Mr Tadashi Maeda; the Managing Director of the Japan-China Economic Association, Mr Sadahiro Sugita; the Vice President of Tencent and Head of Tencent Financial Technology, Mr Jim Lai; and the Managing Director of Hyakunousha International Limited, Mr Muneo Nishida. Two panel sessions in the afternoon have speakers focusing on innovation and technology and smart health trends. Speakers at the innovation and technology panel include founder of Appotronics Corporation Limited Dr Li Yi; the President of the Asia Pacific Business Group and Vice President of Strategy of SenseTime, Mr Jeff Shi; the President of the Administrative Committee of the Macao Science and Technology Development Fund, Mr Frederico Ma; the Executive Vice President of Mitsubishi Heavy Industries Ltd and President of Mitsubishi Heavy Industries Thermal Systems Ltd, Mr Kaoru Kusumoto; the Deputy President (Representative Director) of Mizuho Bank Ltd, Mr Takahiko Yasuhara; the R&D Director and General Manager of Synopsys Macao Ltd, Professor Ben U; and the Managing Director of Toyota Tsusho (HK) Corporation Limited, Mr Naohito Tsuji. Speakers at the smart health panel included the Chairman and President of Rohto Pharmaceutical, Mr Kunio Yamada; the Chairman and CEO of EPS Holdings Inc and Chairman of EPS China Group, Mr Yan Hao; the President of Ryukakusan Co Ltd, Mr Ryuta Fujii; the Senior Director of OIAA Division Pharmaceutical Business of Otsuka Pharmaceutical Co Ltd, Mr Ueda Koji; the Chief Technology Officer (Health and Life Sciences) of Hitachi Vantara, Mr John Ma; and Co-president of the Guangdong-Hong Kong-Macao Greater Bay Area Biomedical Industry Promotion Association and Chairman of Infinite Capital Holding Company Mr Zhang Chaomin. 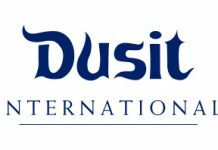 Invest Hong Kong is the department of the Hong Kong Special Administrative Region Government responsible for attracting foreign direct investment and supporting overseas and Mainland businesses to set up or expand in Hong Kong. It provides free advice and customised services for overseas and Mainland companies. For more information, please visit www.investhk.gov.hk.